At this point there’s seemingly not much that we don’t know about the Galaxy S10 range, but a comprehensive specs leak may have filled in a few gaps – though it’s also at odds with things we’ve heard before. 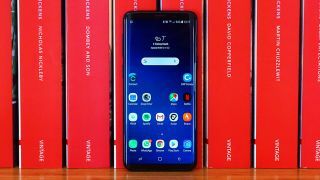 The specs come from an anonymous tipster who claims to work in Samsung’s retail channel and sent them to GSMArena, and one thing that immediately jumps out is the Galaxy S10 Plus being listed as having a 6.3-inch screen. That’s slightly unusual given that previous leaks had settled on a 6.4-inch screen, though sometimes screen sizes are measured to the rounded corners and sometimes the full rectangle is used, so that could account for the difference here. The standard Samsung Galaxy S10 meanwhile is listed as having a 6.1-inch 1440 x 3040 screen at 550ppi, and the Galaxy S10e supposedly has a 5.8-inch 1080 x 2280 screen at 438ppi. The screens also supposedly use ‘Dynamic AMOLED HDR+’ to presumably enhance movies even further on the fly, and Gorilla Glass 6, except for the Galaxy S10e, which is listed as having Gorilla Glass 5. Another difference to what we’ve heard before comes in the size of the standard Samsung Galaxy S10’s battery, which is listed here as being 3,400mAh, while previous rumors put it at either 3,300mAh or 3,500mAh. The camera configuration on the range is also marginally different to most previous rumors. The Samsung Galaxy S10 and S10 Plus are both listed here as having a 12MP f/2.4 telephoto lens, a 12MP f/1.5 wide-angle lens, and a 16MP f/2.2 ultra-wide lens. The main difference being that earlier rumors said the telephoto lens was 13MP. The Galaxy S10e meanwhile apparently ditches the telephoto lens according to this leak, and both the S10e and standard Galaxy S10 supposedly have a 10MP f/1.9 front camera, while the S10 Plus has that and an 8MP f/2.2 lens. The rest of the specs, which you can see in the images, are largely as we’ve heard before, albeit with a bit of extra detail, such as a claim that the screens can reach 800 nits of brightness. As always, we’d take this with a pinch of salt, especially as it came from an anonymous source, could easily have been faked and doesn’t all quite line up with what we’ve heard before, but with the Galaxy S10 range landing on February 20 we’ll know the truth soon.